Disney characters combine with stamps for puzzling perfection! Over 40 of your favourite Disney characters have been turned into postage stamps, and now grace the pages of a wonderful album. The owner of this colourful collection must love to wonder at the detail of each perfect stamp - and we hope you'll enjoy all the details too. 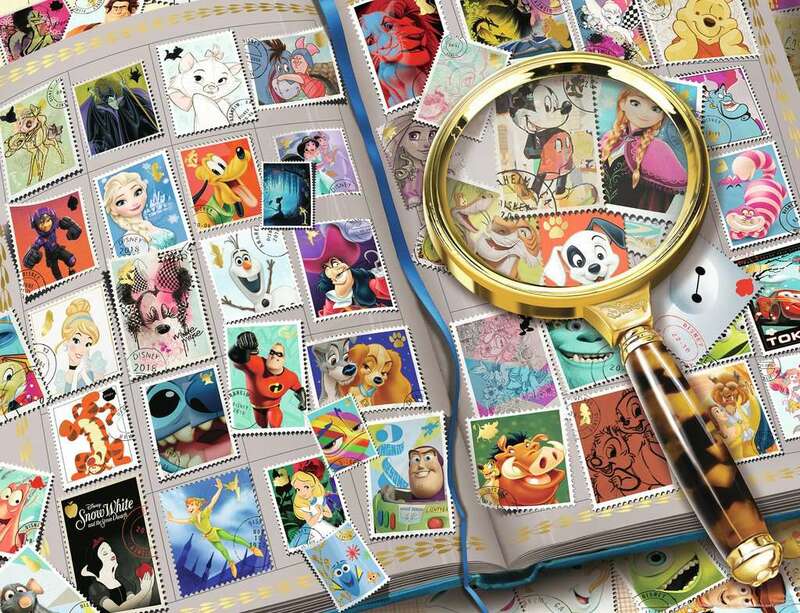 The wonderful world of Disney combined with the collectability of stamps = puzzlers' heaven? High quality 2000 piece cardboard jigsaw puzzle. The finished puzzle measures 98 x 75cm when complete. Suitable for ages 12 years and up. Made from strong premium grade cardboard, with linen finish print to minimise glare on puzzle image. 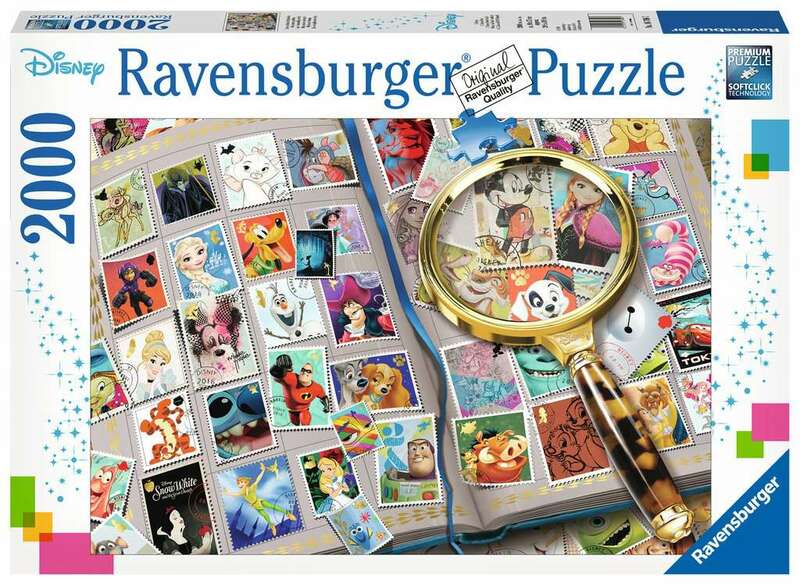 At Ravensburger we have over 50 years’ worth of experience in the manufacture of puzzles. Not only do we make the best selection of puzzles, we also pride ourselves on having the highest quality. Individual pieces are stamped with such precision that a quiet "click" can be heard when one piece is inserted in the other - this phenomenon is so unique that we have given it its own name ‘Softclick Technology.’ Our puzzles are made using unique punching templates and punching tools, which are hand-crafted with watchmaker precision to ensure the greatest possible accuracy and variety of the puzzle pieces.